A natural storyteller, Terry told stories to students in her classroom for years. She now weaves stories for all ages. With her high energy performances,Terry engages her listeners and takes them on a journey of the imagination. 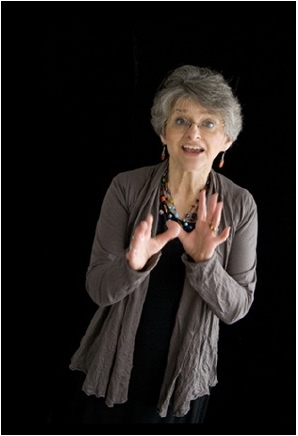 Terry offers storytelling concerts for adults, families, children, and teachers at schools, libraries, conventions, club meetings, festivals, and corporations. She tells traditional folk and fairy tales, ghost stories, historical stories, personal stories, and tales from other lands. Be sure to look check out the links on the storytelling perfomance page to view Terry telling stories!! The Broads are no longer performing (Lynn moved to Utah!) 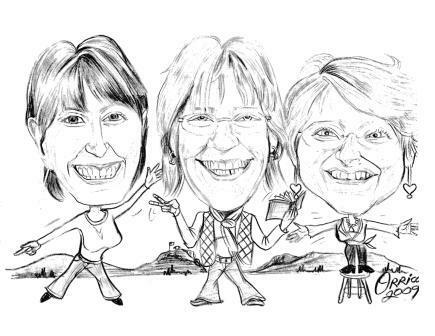 but our book is available at Amazon: The Three Boomer Broads, Remembering While We Still Can. You can also purchase a copy by contacting Terry. Terry conducts school residencies on storytelling and using story to enhance writing skills. Other workshops for children can be tailor-made to fit any age group or need. She also offers a workshop for children on how to tell a story and also on the culture and stories of Japan, stories of the world, and enviornmental stories. Terry conducts workshops for teachers on beginning storytelling and using stories across the curriculum. Terry works with companies and adults to bring the power and art of storytelling into the workplace.